If you’re new to the Inspector Morse mysteries, you have a lot of nonscary murder mystery knitting ahead of you. I won’t go into the whole history, but Inspector Morse was a series in the 1980s and 1990s about, you guessed it, Inspector Morse. Played brilliantly by John Thaw, Inspector Morse was getting on in years, and had devoted his career to solving nasty murders in Oxford, England. (Those dons, killing each other off because somebody was about to expose an error in one’s life’s work! etc. etc.). He was unapologetically snobby, mercurial, and interesting. Inspector Morse is really, really good. Beautiful acting, beautiful settings, and beautiful writing that make you not care that the premise (rampant violent crime in Oxford) might be far-fetched. Inspector Morse had a sidekick, the low-key and sardonic Detective Sergeant Lewis, who at long last got his promotion and became Inspector Lewis, which became the series Inspector Lewis. I liked Inspector Lewis better than Inspector Morse, which is due in no small part to Inspector Lewis’s sidekick, Hathaway, who is the dreamiest overeducated detective ever. But I digress. Endeavour, currently in its fifth season (in its sixth in the UK) and running constantly on my local PBS channel (and therefore available on the PBS Passport streaming service for members) is a prequel to Inspector Morse. You might go into a prequel of two popular and long running detective series expecting to be disappointed, but you would be wrong. Endeavour is the best of the three. It’s set in the 1960s (in Oxford, naturally), and tracks Detective Constable Endeavour Morse’s days as a journeyman detective. The recreation of the 1960s is perfection. Subplots involving Morse’s love life are complicated and interesting, if slightly anachronistic. Morse’s sidekick for this series is not his junior but his superior officer, Detective Inspector Fred Sunday (argh! It’s Fred Thursday! Thank you kind readers for the correction) who is played by Roger Allam. It is a sign of my ahem maturity that, as wonderful as Shaun Evans is in the role of Morse, my crush in this series is grumbly old Sunday. (Thursday!) He’s simply the best. Also good is Anton Lesser, who apparently was born to play irritable station chiefs. I will not pretend to understand the plots all that well, it’s kind of a stew of organized crime and crime at a literally old-school public school. The crime making sense is low on my list of requirements for murder mysteries. All this should keep you busy for a while. Also available on Amazon Prime, Endeavour is one of our favorites. Amazing television! That’s a great, fun show! Love it! I wish they’d run parts I and II together. Even though I’ve seen them all, I can’t wait to see the end. And the music is wonderful. Unique and quirky like some of the plots and characters. Love it. I look forward to it on Friday and Saturday nights. It will be replaced my Murder in Suburbia. Yes, for such a small village, that place is like a slaughterhouse. Available FREE at Public Library. Metro Omaha NE has 11 branches so can request delivery from any site to closest branch. I completely agree!!!! I am anxiously awaiting season 6!!! We just finished bingewatching all three seasons of Broadchurch on Netflix and LOVED it! I love Ellie, her no-nonsense, call it like she sees it way, not ALWAYS getting it right: totally authentic (and I never use that word). I love this series, too, but wish my close captioning on Amazon used bigger print so I could actually see it. I miss some of the greatness because I can’t always understand the accents. Maybe I’ll try PBS. Isn’t the sidekick Thursday? You can usually tell what day it is by the kind of white bread sandwich his wife makes him for lunch. Sometimes I can’t understand the accents either. I’ve been recording the shows on DVR . I rewind when I can’t make out the dialogue due to the accent but sometimes I still can’t get it. Lynn, you may be able to increase the font size. When you’ve got a movie running, click on the subtitles/audio icon. In the window that opens, look below the subtitles/English choices. There should be a clickable “subtitles settings”; click that, and another window opens. There are five font size options. There are also four color options: white over the film that’s running, white on black, yellow over the film and yellow on black. Hope that helps. Thanks for the ideas! I have gone into menus trying to find such options, but I’ll see if I can find the options when I’m actually viewing. Totally with you about Hathaway! For some reason, I’ve not taken to Endeavour, but you encourage me to give it another go. Meanwhile, the photo of Sarah Lancashire prompted me to want to recommend Last Tango in Halifax to you, but a quick search of MDK confirmed that I watched it on your recommendation! Thank you! We’ve enjoyed it tremendously. Love those old folks! Love that Thaw’s daughter plays the newspaper woman. In the very first episode (I think) of the series, she asks Morse if they’ve met before. Endeavour is probably my favorite of all the British detective shows, which is really saying something. It’s shot so beautifully– the costumes/the landscape/Shaun Evans’ cheekbones. My husband calculated the murder rate of Oxford based on Endeavour/Morse/Lewis. It’s alarmingly high. (Hee hee). Have you dipped your toe into Hinterland yet? It’s my current binge of choice. The usual cast of detectives, all tortured by their own private pasts, set in a jaw-droppingly beautiful Welsh landscape. Who knew rural Wales was such a hotbed of murder? Stream it on Netflix. I watch it with the subtitles on, because the Welsh accents can be a little thick. I love knowing I am not the only one who binges on British crime dramas I’m running low however and am in need of some fresh meat as it were. I have seen nearly all the shows, I am hoping someone can suggest something I haven’t seen. 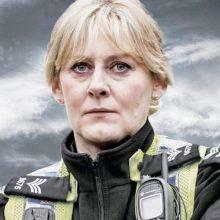 Have you watched Scott and Bailey? Five seasons on Amazon Prime. Loved it! Wish it was still on. I am watching Morse again for the first time since it was originally offered on our PBS. This time around we try to find Colin Dexter (book author) in the extras, which I didn’t know about the first time. Also there are some great (-ish) performances from actors who have achieved their fame elsewhere. Saw Roger Allam in an episode and I almost didn’t recognize him until until I heard his voice. Love his voice. I still have my fingers crossed for an Inspector Hathaway series. One of my favorites. It’s set in the 60s and I love the fashion and music. I also have a crush on him, even though I’m too old for him. Shaun Evan’s face is beautiful to behold, but I’m in love with Roger. I had to start with Season 3; it didn’t look like 1&2 were available on my Passport. I’ll have to dig deeper. Susan, Endeavour seasons 1-3 are available on Amazon. Doesn’t violence has been a feature of life in England ever since Agatha Christie so no news there. I read the Colin Dexter books then watched the series when it was first out. I like Lewis and was glad to see him get him own series, but to me they’re a bit more mundane than morse was. 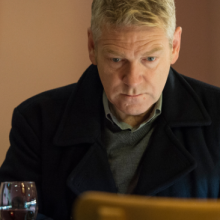 I love Endeavor; not only are they great on their own, but it’s fascinating to see the beginnings of do many traits and habits that will become the Inspector Morse of the books. It’s also bittersweet to see him as a young man looking for relationships and to know how that develops. I decided that as I was watching the Endeavor series, I’d also watch the Inspector Morse and Inspector Lewis series straight through in chronological order. Not often you can watch a long arc of character development. I keep hoping for a Hathaway series. Fun to watch Inspector Lewis too …the original sidekick of John Thaw’s Inspector Morse….anyone read the original Colin Dexter books? I actually find British mystery shows very scary because they have no problem killing main characters or a well liked character. And they use music so well. Love DI Hathaway in Inspector Lewis and would have loved if they continued the tradition with a spinoff for him. I started watching Inspector Morse again. I love seeing young Kevin Whately and catching clues about Lewis’s early life. And then I’ll watch Inspector Lewis again. And thumbs up for an Inspector Hathaway. I want to thank you for introducing me to the Good Food podcast. I’ve just started listening, and began with the episode where she is discussing the recently deceased Joel Robuchon with the also recently deceased Jonathan Gold. I was ‘gob smacked’ when Gold said that Ruth Reichel had given him and his wife dinner at the Paris Robuchon’s as a wedding gift. I’m hanging with the wrong crowd! We also watched the documentary about Jonathan Gold upon your recommendation. It was brilliant! Thank you, thank you, thank you!!! I love Endeavor, his complete social awkwardness and keenly perceptive mind. He’s at the still-tender-not-turned-cynical stage. Perhaps a little like James Hathaway. Hmmm, connection. Oh yes!!! We just finished bing watching the heartbreakingly short three seasons of Silk. This is one of the few series I would watch over and over. Love SLK. Wish there were more seasons. I watched Morse but found it had not aged well in some ways. Still great TV. I really loved Endeavour but to me, Lewis still wins out. I loved Lewis not so much for Hathaway as for Lewis. My husband and I have enjoyed Endeavour since the first season, although we miss much of what is happening. Of course I am always knitting, and not looking at the screen the whole time. We gave up on The Inspector Lewis series; at the end of the program we didn’t have a clue what just happened. Is it me, or do people talk faster these days? Looks like I’ve found my “kniche” crowd.. I’d add just about every British mystery out there, (DCI Banks, Luther, Scott & Baily, Vera, The Tunnel, Shetland, Murder in Paradise, the list goes on), all my favs. And let’s not forget Poirot & Miss Marple! Though not a mystery, Downton Abbey is also a great knit along series! You will enjoy our Laxy Sunday category, I think! Exactly. Like you read my mind. A group of series that I wish could go on forever. I, too, have watched ALL the shows listed. Make sure you catch the new Netflix movie “The Guernsay Literary & Potato Peel Pie Society.” It’s brilliant!! Watched it last night and thoroughly enjoyed it. I read the book about 9-10 years ago and totally fell in love with the people of Guernsey. Will look for movie. Book was GREAT. thank you SO much for that recommendation, Jonnie! I just finished watching this absolutely stunning film…and felt bereft when it was over….if you have other movie suggestions, please do feel free to pass them along! The trailer really overdoes it but I find the violence very not-real, almost campy at times. Lots of spooking but actual bad things tend to happen off-camera. Sensitivities do vary so I am grateful for trailers! It’s so hard to connect the baby faced Shaun Evans with the mature, craggy Morse character but that is indeed the premise. Yes. The physical non- resemblance really bothered me at first—despite that, the show is great. Perfect re-creation of the pre-Woodstock 60s. I do think they might have let John Thaw’s daughter play the part in drag. She looks just like him. Love all these shows. Can’t wait for the return of all of them. I agree, the plot is not really the reason to watch Endeavor. Hitchcok would say it is the maguffin, the vehicle to watch everything else, the people, the scenery, the nostalgia. I also love love love the Morse/Lewis/Endeavour body of work! I’m not sure if I agree with you that Endeavour is the best, as each series is each wonderful in its own way. I might argue for Inspector Lewis as the best, as Kevin Whately’s transformation from sidekick to man-in-charge was interesting and believable, PLUS as you mentioned, Laurence Fox as Hathaway is so beautiful and cerebral! I fell in love with British crime drama in no small part to the original Inspector Morse. Was in Heaven binging on the Inspector Lewis series. Endeavor brings back the groovy 60’s. I was a kid, but remember it fondly. Thank you for reminding me why I love this fantastic montage of the best detectives ever. I agree with you 100 %. Also the music. Don’t forget to give praise to Barrington Pheloung’s sound tracks. They are wonderful by themselves. If you are looking for more Roger Allam, and want to laugh, try “Cabin Pressure” by John Finnemore. It’s a radio comedy (BBC, naturally) and stars Allam, Finnemore, Stephanie Cole (Doc Martin, Waiting for G-d) and Benedict Cumberbatch. It’s absolutely hysterical! I adore Endeavor, Lewis and Morse. I also recommend the Morse books as well! Love all of them. My favorite is Inspector Lewis. I am confused. I have been recording and watching the current Endeavour series. Is this a ‘prequel’. Everyone is excellent and I also don’t really get the actual plot and can’t always understand what is said but love the program. Endeavor is already very much missed. Hopefully there will be a season six in the US. Have thoroughly enjoyed the series. Hope it continues for a long time. Have we talked about Shetland yet? It’s my all-time favorite British mystery series — such a great sense of place, wonderful scenery, and the occasional hand-knit item. Yes!!! I would love to see more of this one! J’ai 60 ans et j’ai été “élevèe ” par Morse et le sergent Lewis ! Initiation à l’opéra, aux mots croisés et aux Jaguar ! Puis je suis passée à Lewis et Hathaway, une pure merveille d’intelligence et de drolerie mais hélàs c’est fini… Et j’ai découvert Endeavour, le prénom secret de Morse et à Fred Thursday. Sceptique au début mais là encore, ça fonctionne !!! Un must, l’échange de regard dans le rétroviseur entre le jeune et le vieux Morse… Et les sanswichs à la viande de Fred !!! So many wonderful mysteries and if you haven’t seen Paranoid, you will love It! Also enjoyed the prequel to Prime Suspect, Dennison. I wanted Shetland, Grantchester and Broadchurch, to go on forever. I will miss Endeavour when it ends! I’ve been enjoying Endeavor since it started airing in the States. Having watched the Inspector Morse series once upon ta time, it is a bit melancholy watching the seeds of the lonely Morse. Love the Endeavor series. Morse and Mid Summer, Inspector Lewis and Sherlock. How about Muss Marple, Father Brown my most favorite NEW TRICKS and Pierot (?). Although I have watched the PBS Mystery series for years, my all-time favorites have been John Thaw’s Morse and Jeremy Brett’s Sherlock. Those two can’t be beat. I can’t watch anyone play Sherlock since being spoiled by Brett’s interpretation. I also enjoyed Cracker, Shetland, and Prime Suspect. How about Poldark? Cold shower anyone!! 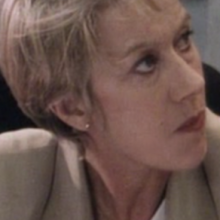 Also…Inspector Lewis, New Tricks, Miss Marple, Rosemary & Thyme, Shetland…… I can go on and on. Wonderful shows to knit by. We are HUGE Morse fans in our house–the books first, then the show. My husband is so dedicated to Morse that he refused to watch Endeavor for a very long time. He finally gave in & watched with me and was so taken in, he watched all 5 seasons. That’s a ringing endorsement right there! 🙂 Did you know that John Thaw’s daughter has a role in Endeavor? The journalist…whose name I forget right now, but you’ll know who I mean. She has a prominent role off and on during the seasons. We haven’t watched much of Inspector Lewis, though–must catch up on that one. Endeavour series are my favorite !! !